A recent article in The New Yorker by Nick Paumgarten, (“The World of Surveillance”, May 14,2012 issue), allows us to realize that if human beings are the sole agency creating the Crop Circles each and every summer over the past 30 + years in the crop fields of the U.K., we would know this by now, and their illegal activities would have come to a halt long ago. Human perpetrators would have been discovered by these “eyes in the sky”, identified, and arrested for trespass and vandalism, and we would not continue to be perplexed by the ongoing Crop Circle Phenomenon, which shows no signs of slowing down. The summer of 2012 has been repleat with incredible Crop Circles in a wide-open display which is intended to open the eyes and the minds of humanity. U.A.V.’s currently exist with a flight time duration exceeding 300 hours of airborn surveillance. 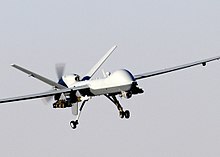 Predator drones are equipped with Lockheed Martin Hellfire II missiles which are ideal for correcting anti-social behaviors. Sorry, my bad-self’s imagination kind of took off for a second. Back to what I was saying. Paumgarten writes, “New sensors on a U.A.V. can detect a milk carton from 60,000 feet”. The fact that the Crop Circles continue to come down into the fields of the U.K. every summer, while British law enforcement authorities habitually turn their heads away from this phenomenon, and while British farmers have grown increasingly frustrated, tells us an important story. In their frustration, many British farmers have now taken to cutting out the formations within hours after they are discovered in order to thwart and to discourage the growing number of Crop Circle enthusuasts who would inevitably arrive in their field to experience these incredible formations. These folks are showing up in the U.K. every summer from all over the world to witness, first-hand, these unbelievable works of art. 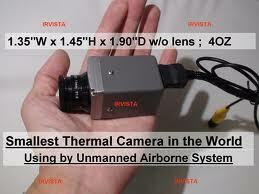 InView UAV for use in scientific, commercial and state applications. Ferranti Phoenix reconnaissance (1980s, but never entered service). An example is on display at the National Museum of Flight, East Fortune, Scotland.